TRILOK STEEL INDUSTRIES is one of the oldest well known manufacturer, exporter, stockist, stockholder and supplier of Stainless Steel Hydraulic Pipe. 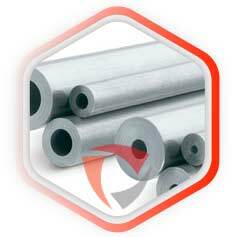 Our offered Stainless Steel Hydraulic Tube plays a very important role in hydraulic systems. We manufactures high quality Stainless Steel Hydraulic Tubingprovide the extra force required to move large control surfaces that bear heavy aerodynamic loads, and are critical to the safe operation of the aircraft. We are as one of the best high quality Seamless Stainless Steel Hydraulic Tubingmanufacturer in stainless steel 304 and 316 grades which are highly resistant to corrosion.Trilok Steel Industries is PED approved manufacturer & Govt. of India recognized Export House and an ISO 9001 : 2008 accredited company. 304 Stainless Steel Hydraulic Tubingis available in various sizes and pressure ratings for optimal performance.We are also well known Stainless Steel Hydraulic Tubing Manufacturer in India. Check our stainless steel Hydraulic Pipe Price and get offer as per stainless steel hydraulic pipe sizes. Stainless Steel Hydraulic Tubing Surface bright annealed condition, and pickled + polished condition on customer's request. Trilok Steel is ISO 9001:2008, certified manufacturer of standard and custom Stainless Steel Hydraulic Tubing. Stainless Steel Hydraulic Pipe in a comprehensive range of corrosion-resistant stainless steels covering outside diameters from (OD) 1.59 to 50 mm (0.0625 to 1.968 in.). All Stainless Steel Hydraulic Tube sizes are supplied with smooth surfaces and close dimensional tolerances reducing the risk of leakages when connecting tubes with couplings.Our offered Stainless Steel Hydraulic Tubing is straight lengths of 6 meters, but our tubes can also be delivered as coiled tubing, contributing to reduced installation costs. 316 stainless steel Hydraulic Tubes are characterized by high cleanliness, and tubes with OD larger than 5 mm (0.196 in.) are delivered with plugged ends for transport protection against inside contamination.The most common grades of stainless steel hydraulic tubing are TP316/316L and 316Ti. And other steel grades on customers requests, such as 304/304L, 321/321H, 347/347H. Hydraulic Tubes with OD up to and including 25,4 mm (1.0 in.) are supplied bright annealed. Tubes with OD larger than 25.4 mm are supplied in the annealed and pickled condition. Standard length = 6 meters. We are famous as supplier of stainless steel hydraulic tubes to the aerospace industry where they are deployed in the engines and airframes of both commercial and military aircraft.Our thin wall stainless steel hydraulic tubes are used to actuate flight control surfaces such as flaps and slats, and are also crucial components in landing gear and brakes.Our Offered stainless steel Hydraulic Tubings size range from 5mm to 38.1mm outside diameter and we can supply to imperial or metric standard measurements.Trilok steel is one of only a well known of tube mills worldwide qualified to produce the seamless hydraulic tubes used for the high pressure hydraulic system of the Airbus A380. The A380 system operates at 5,000psi as opposed to the standard 3,000psi of previous commercial airliners. There is approximately 1km of Stainless Steel hydraulic line tubing in each Airbus A380. All Hydraulic Tubing products supplied to the aerospace industry.As a largest stockholder of stainless steel Hydraulic Tubing includes grades stainless Steel 304 Hydraulic Tubing, Stainless Steel 304L Hydraulic Tubing,Stainless Steel 316 Hydraulic Tubing,Stainless steel 316L Hydraulic Tubing and those are used in various indutsrial applications. 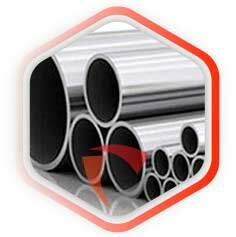 check latest updated price of stainless steel Hydraulic Tubing. stainless steel pipe for hydraulic, Stainless Steel Hydraulic Tubing Manufacturer in India, SS Hydraulic Tubings, SS Hydraulic Tubing Dealer in India, High Quality Stainless Steel Hydraulic Tubing, Stainless Steel Hydraulic Tubings Exporter in India, Stainless Steel hydraulic pipe Trader, Stainless Steel Low Hydraulic Tubings. Suppliers of Stainless Steel Hydraulic Tubings, 304 Hydraulic Tubings, 316l Hydraulic Tubing Manufacturers in India, SS 304 Hydraulic Tubing Importer, SS 316 Hydraulic Tubing Supplier in Mumbai, India. Stainless steel Hydraulic Tubings are finished in accordance with customer needs regarding dimensional and wall thickness specifications as well as heat treatment for more demanding applications. In general a stainless steel Hydraulic Tubing is manufactured according to current standards API, ASTM, and ASME. If required for special projects we can also supply large diameter Hydraulic Tubings. Note: For gas service, select a tube wall thickness outside of the shaded area.